Now a regular contributor to Luciano’s Cadenza Lab label, Ezikiel returns with a superb four track EP of sleek and tight house grooves, bursting with creativity and originality. And it’s of no surprise that the young producer’s music finds favour on Cadenza’s sister label; always dripping in musicality yet dancefloor functionality, Ezikiel has also released bombs for Sasha Dive’s Deep Vibes label, Tenax Recordings and Celesta Recordings of late. 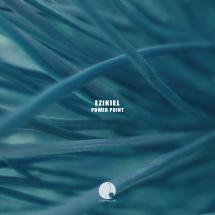 On ‘Power Point’, a rasping bass riff snakes around shuffling drums and glistening keys as distant brass licks percolate the well-rounded groove that Ezikiel has become most expert in. ‘Regalize’ continues the Swiss producer’s love of dubwise influences with a brooding beat work out and dialogue snips from one of Jamaica’s most revered artists. Keeping in the same energetic style, ‘Flyz’ delivers a heady mix of deep organ riffs and tension holding strings, whilst EP closer ‘One Moment Please’ get’s deep and downright dirty with a dense and crunchy production that springs into colour with a bright and mystical marimba motif amongst the trippy FX and distant voices.